Only in the last handful of years, I began flashing back to my alien encounters as a teenager. Between the ages of 15 and 19, I lived in a million dollar penthouse suite in a condominium right on the ocean in Daytona Beach. It was a dream like experience. It took me until 2010 before I began seeing quick movie like clips through meditation of the grey aliens. They were coming in through the sliding glass doors of my bedroom by way of the our expansive balconies. Our condo was on the top three floors and was shaped like a diamond pointed at the Atlantic. We had 1,500 square feet of balconies alone, all of which faced the water. It was one of the most surreal and panoramic views you could ever imagine. That being said, it was screaming for ET visitations. When my alien memory cap first popped, I could recall visions where I’d see 3 to 5 small greys walking down the balcony towards my sliding glass door to the stars. They would enter my room without opening the door. I remember seeing the most beautiful God like light emanating from over the ocean that would beam right into my bedroom through the glass door. It would pass into me and through my soul while I lied in bed. After that, my memory would go blank. However, I do remember the greys and the majestic, yet blinding light, that did not hurt my eyes. I know this is where and when my abduction experiences began. Around this time of my life I began writing poetry. The genres and subject matter of my work dealt mostly with the Astral Plane, the supernatural and navigating on the other side through a metaphysical existence. When I was 17 years old, my parents published a book of my poetry entitled, “Beyond Oblivion, Through The Crevices In Between.” This marked the beginning of my mission and journey into exploring the mind expanding spirit world. I had an ex-girlfriend who taught me at the age of 30, that the light bending orb shapes and human like apparitions I'd been seeing where in fact ghosts or ultra terrestrials. We both witnessed a woman's dress float across the room that night while lying in my bed. (The girl in the dress is from one of my past lives.) That was the first time in my life, dating back to the age of 13, that I understood what I was actually seeing. Shortly there after, I came to the realization that not only was I seeing ghosts, but I was also encountering extra terrestrials. Most of these experiences were occurring in my bedroom late at night. I could see them either floating in the corners of my ceiling, passing through the walls or opening my bedroom door. Often this was associated with me frozen in a state of paralysis but still able to open my eyes and see something with some cognitive awareness. Although my alien subconscious bleeds through consciously every day, I'm still remembering what's been happening to me since I was a kid. I used to think I was dreaming, now I comprehend that I was experiencing actual visitations. Most nights I'm either physically, subconsciously or mentally abducted whether I'm laying on my bed or I'm beamed up on a ship? The best part for me is that I can meet them half way on the astral plain and summon their God like existences through loving communication to better myself but more important to bless our world on our 3D Earth. Popping my alien memory cap, I revisited my reoccurring vision of me on a UFO with Yahweh and Enoch. Off at a distance on the ship, but still within eye shot from my vantage point, I see a human figure. It turns out it's me facing away from me. I'm standing next to Yahweh and Enoch and see my higher self, me, wearing a long white robe. He looks back over his shoulder smiling while revealing himself to me, the primitive self who's engaged in a flashback. My higher self me looks back into a circular window of outer space. Without him touching anything, he starts navigating and moving stars around within the circle. My interpretation is that as he was manipulating this device mentally for astrological and astronomical reasons. It all became clear to me. My higher alien self me, who serves on the elite alien council, was communicating with my Earth me. I was then told of my enormous role in the global alien disclosure event that is coming up. When I say multi dimensional existence, I interpret this as having a physical and or spiritual body in each of the 13 dimensions. The new epoch and dimension was formed on the death of the sun and the beginning of a new cycle on the winter solstice, December 21, 2012. The Maya got it half way right. It was definitely the beginning of a new age, but certainly not the end of the world. This is when the new dimension began creating itself. We have to understand that the universe, multiverse is still big banging which means its growing and expanding. By doing so, new dimensions are added astrophysically and spiritually to accommodate all the new energy. New stars, planets and life are forming every day around the multiverse. A new dimension is created in the process and it effects all stars in every dimension, including our little blue living dot on the map of the everyverse, allverse, universe. As a teenager, I knew my highest, most evolved self was actually me as an ascended human like alien master living in a higher dimension vibrating at a higher frequency. The curious part is that self still looked 18 years old. That physical self had long hair with a mustache and was thin just as I was back in 1988. The biggest difference is that he had his own mother ship and is part of the same high alien council who is pushing for full disclosure of aliens on Earth in our present day 3D existence. 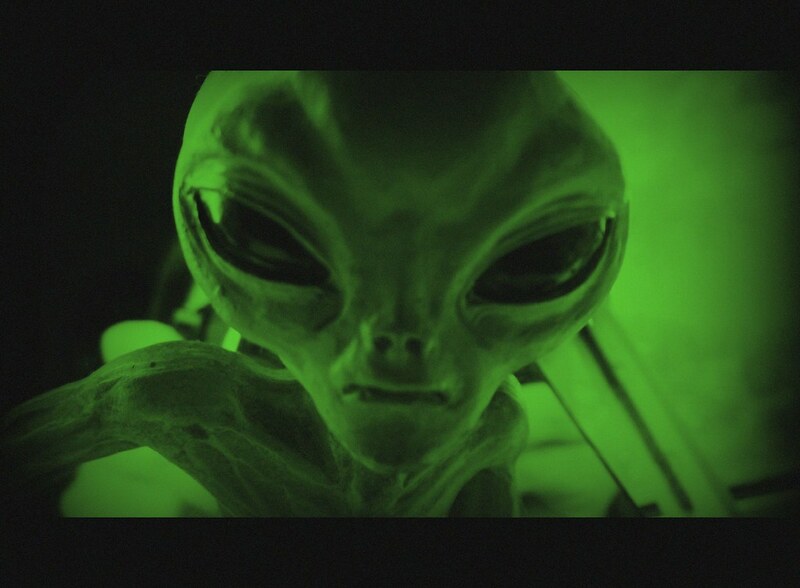 I believe that my higher alien self and other ET’s are the ones sending probes and UFO’s to my house to keep tabs on me. The next day the psychic called me. She had stayed the night in the hospital with her friend. Frantic and bewildered with a trembling voice, she relived the nightmare of Elizabeth attacking her friend at my house and in the hospital. She recalled a gallant spiritual warrior named, White Wolf, who came to her rescue in the E. R. .
My Reiki Master was a Goddess like beautiful Latin angel. She was an incredibly powerful ascended elder spirit. She warned me before we began that my life would change forever. Part of the attunement process forces your body, mind and spirit to basically dismantle itself. A form of genesis takes place as the the universal spirit energy rebuilds you. She stated, your physical, mental, emotional and spiritual blockages will be exposed and released. This often manifests through physical pain, mental and emotional catharsis and spiritual cleansing. It can often take you to the presupus of reality where you envision that you could fall off the edge into an endless abyss of lost infinity. The same phenomenon takes place with Shamans going through their quickening process. Knowing this would take place, I meditated intensely on the attunement pain not effecting my work. I'm a singer, DJ, karaoke guy who has to lift my sound system in awkward positions to protect my equipment. Needless to say, this puts incredible pressure on my back along with aggravating my hemorrhoids and hernias. Attunement number three, the spiritual enlightenment stage of my Reiki evolution, was a whole other story. I ripped my back again and then got fired from my biggest DJ account after 10 years. One of the managers at this chain of resorts set me up to lose a $40,000 per year contract. Her diabolical plan worked to perfection. To make matters worse, I developed a severe case of bleeding hemorrhoids that almost required surgery without insurance. This all happened days after attunement three. But wait, it gets better. My SUV died on me so I had to buy another vehicle. My septic tank had developed problems to the tune of $1,000. The hot water heater in my home needed to be replaced. My iPhone crashed on me so I had to buy another. Then on top of everything else, my DJ sound system and computer all needed to be upgraded badly. There went another $3,500. All this and other freak events occurred days, weeks and months after my Reiki three attunement. The hard discipline here is to understand that this was all a good thing. Thanking God and Master Usui Reiki for all that had happened was the only way for my spirit to grow. Ultimately, my back healed and most everything else was monetary in nature, which I was able to handle. The one albatross I was to carry that would effect me most was the bleeding hemorrhoids. This went on for almost two and a half years. I did lose the big DJ account, but I still had plenty of work as a DJ karaoke guy and still do. Shortly after attunement three, I had to contend with the reality of bleeding into my underwear and through my pants while I was working. Sometimes blood was visible from the exterior of my clothing. How incredibly embarrassing. This happened to me a number of times when business was good. More work meant more lifting of heavy speakers and so on which aggravated my back and hemorrhoids. I started to become very afraid and almost went to the hospital for surgery. Right before I conceded that I required medical attention, I experienced a grand epiphany. “I am a Reiki Master and Teacher, I can heal myself.” It took me about 36 hours of straight self Reiki, meditation and praying harder than I ever prayed to God before and I did it. I didn't completely heal myself, but Reiki worked well enough to make my back but mostly hemorrhoids manageable. Between Reiki and my ministry, I went to school for two years only to find out it would cost me another $5,000 to become an LMT and that my journey to become a practicing spiritual healer for money had ended. I had an elderly neighbor who told me about the Enka Indians that lived on sacred ground in our neighborhood. My house is on Enka Avenue. I own a corner lot that is perched atop of a hill that leads down to a stream of water. If you are an indian tribe in Florida dating back 150 plus years, give or take, you would live on higher ground because all the rain we experience in our subtropical climate. After countless hauntings, that were mostly positive, I came to the conclusion that the indian chief, shamans, medicine men and elite council lived on the property that I have owned since April 26, 2002. Between the years of 2005 and 2007, I had a girlfriend who lived with me along with her two daughters. As my home is totally haunted, I knew them moving into my home would stir up an ocean of supernatural energy. We started to have ghost like encounters right off the bat. When she first moved in, we would hear drums beating in my bedroom, just like that of an indian tribe conducting some kind of ceremony. We walked around outside attempting to find the source of the percussion instruments, but to no avail. We reentered my room and the drums would begin again. The unsettling facet of this encounter is that we wouldn’t hear the drums every night, only certain nights. We never could figure out why. Then, a few months into us all living together, the oldest daughter had a dream where she saw two medicine men and a shaman squatted down throwing roots and leaves into what seemed to be a caldron suspended over an open fire. They were making some kind of magic elixir. The ironic thing was that I had the exact same dream on the exact same night. What a trip. She, her mother and I talked about it at length opening up a whole new revelation of discovery. Perhaps a month after that, the same daughter came pounding on my bedroom door to alert her mother and I that she could see a ghost in her room. Sure enough, the Mom, both daughters and I, saw plain as day a huge ghost in the corner of her bedroom. So then, I dug inside my spirit self to see if I could make contact. I did so easily. I felt that this apparition was a very loving indian protector spirit and that she and we had nothing to worry about. I told her that he loves her and us so embrace him and feel good about his presence. Then I told her to name him and start communicating with him. Positive ghosts love it when you at least try to talk to them out loud and telepathically. She named him Blake and all of a sudden, we had a friendly ghost in the house that was our guardian. How cool. I had an old roommate who I taught how to see ghosts. The way I taught him was not so much me teaching him. It was me enlightening him to the fact that he already had the gift, just like I did. I could sense it. He just had to allow it to manifest within himself. When he finally did, he and I could see the same spirits at the same time and we loved to talk about it. We had friend who was probably 12 years younger than us at the time. I was maybe 31 years old at the time and he was 19. Let’s call him Steve. Every time Steve would come over, lights would turn on and off, right in front of all three of us. It was the coolest thing in the world. I meditated, like I always do, to see what we were dealing with. It was a playful spirit trapped as an Earthbounder in between dimensions. I had the feeling that it was an indian boy who died at a young age, perhaps close to Steve’s age. That’s why I believe that this entity was drawn to him. Every time Steve would come around and he was around a lot, the same thing would happen. It was always the lights turning on and off. We loved it and would try to get the ghost to do it on command. Sometimes it would work, sometimes it wouldn’t. But we always knew that if Steve was around, some strange anomaly would always occur. A number of years ago, I was active in the dating world. I was successful as far as hooking up with girls, but the thing I wanted most was alluding me, love. I knew that I was being blocked spiritually and energetically from love, so I began to seek supernatural assistance. A friend of mine referred me to a psychic medium who also could perform energy healings. The morning of my reading, I put on my Universal Studios jacket which I hardly ever wore because it had a hole in the armpit. It turned out that this psychic actually worked for Universal Studios in Orlando. Right off the bat, I could feel her gifts resonating with me and it was written in the stars that we would meet that day. She began by reading my palm. A felt tip pen was her instrument used to explain to me what she was translating. The tip of her pen was filling in the lines on my hand while telling me my life story. Some of the most private and well kept secrets of my life were coming out and it was obvious that she was no fraud. Then she paused for a second, took a collective breath and told me why I was there. She said that I could find physical relationships with women easily, but I couldn’t find what my heart yearned for the most, love. Now, she had my undivided attention, because I never told her that that was the main reason I was there seeking her guidance. She then floored me even more by telling me I had a curse placed on me. I knew something was wrong with my spiritual love energy but I would have never thought of it as being a curse. Hearing this I flashed back to my last few flings and I realized the last three girls I had been with practiced Wicca. A grand epiphany then smacked me in the face as it dawned on me. These literal witches casted spells on me after I parted ways with them. So then I was left with the question, what do can I do? The psychic told me there was a way to lift the curse. She told me to go the ocean and pray to Yemaja or Yemaya, the Voodoo Goddess of the Sea. But to appease the Goddess, I had to gift her with an offering. Yemaja particularly liked molasses. So then the psychic told me to go to the beach (I went to Cocoa Beach, an hour from Orlando) and smear syrup like molasses all over my whole body. After doing so, enter the water while washing it off and pray to Yemaja asking her to cleanse my spirit from the curse. I was to repeat this process three times and I did. I had to exit the water each time completely to rub myself down with molasses again. A comical flashback, I remember leaving the water to make my way back onto the beach sand. I recall looking down the beach and I saw an old man with a metal detector. He’s waving his device back and forth scanning the coast and sees me smearing molasses all over my body. We made eye contact with each other and I started to laugh and I could see him mumbling something something more than likely, very derogatory, about me under his breath. I continued into the Atlantic Ocean for my third and final purification. This last time, I was to bring another pair of new shorts with me. My instructions were to wash to molasses off of my body one last time while praying to Yemaja and asking her to lift the curse. While in the water, I had to remove my old shorts and put on the new ones before I exited the water. I did so not knowing what to think or what the results could possibly be. Within three days, I met the love of my life on a blind date and began the most beautiful, loving relationship I ever could have dreamed possible. So was it real? Did it really work? If it didn’t, then it is the most incredible coincidence that I had ever experienced. Our relationship lasted many years. Unfortunately, it all ended when she had to move back north to be closer to family with health issues. I guess it is better to love and lose than never love at all.